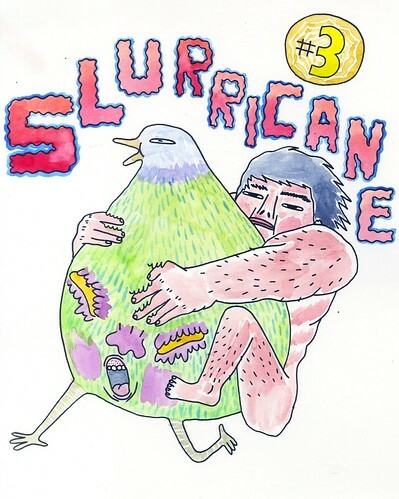 the drawings of Will Laren: slurricane #3 cover? slurricane #3 cover?, a photo by willlaren on Flickr. I still need to mess around with the colors in photoshop and add my name below, but I think this may end up being the cover for Slurricane #3. no promises though since I still have a few ideas I might want to attempt.